Oh the joy of being able to design soft furnishings to fit your interior and taste. The hours I spent browsing the Internet when the boys were little and I was styling their rooms, looking for the perfect sheep cushion, or hot air balloon. This Cricut Iron-On Vinyl Instructions And Tutorial will help you achieve just that! I am ever so slightly in love with iron on vinyl. And this Cricut Iron-On Vinyl Instructions and Tutorial makes it so easy. 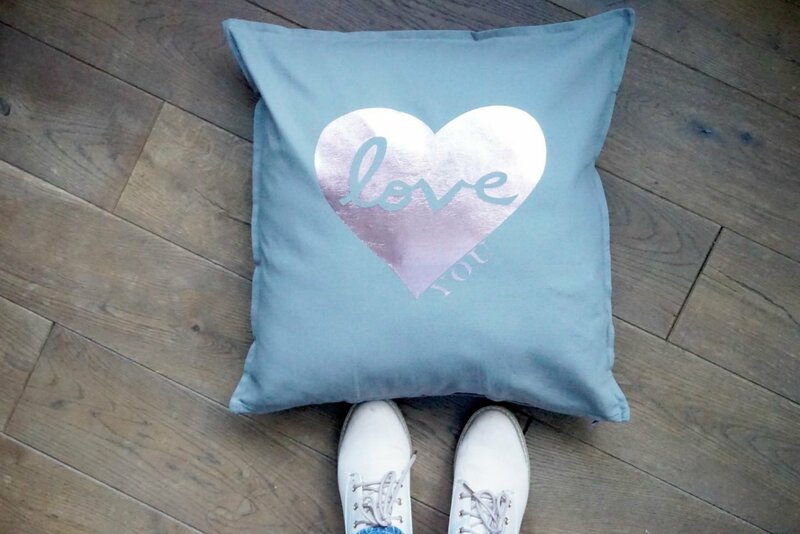 So here we go,, let’s get started with the Cricut Iron-On Instructions and make a heart cushion in 15 minutes, you can’t get in to town and buy one in the time! And at Christmas when I wanted a cushion embellished with the silhouette of a stag. I never found the right one! I am naturally creative, but this can be a burden. Because I have a clear vision in my mind of how I want things to be. And once I get that vision nothing else will do, hence why I never procured just the right stag cushion. By Christmas I will have acquired a sewing machine and a will have that coveted cushion, you mark my words. 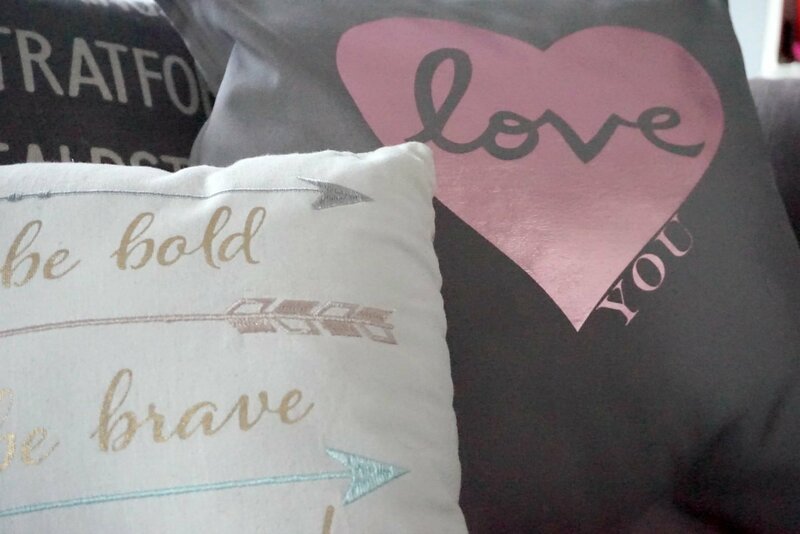 But for now I am still discovering what the Cricut maker can do and have my heart set on creating a collection of cushions for my home, partly for experimental purposes, but mostly to flex my Cricut muscles and create a few little projects that are in my mind. 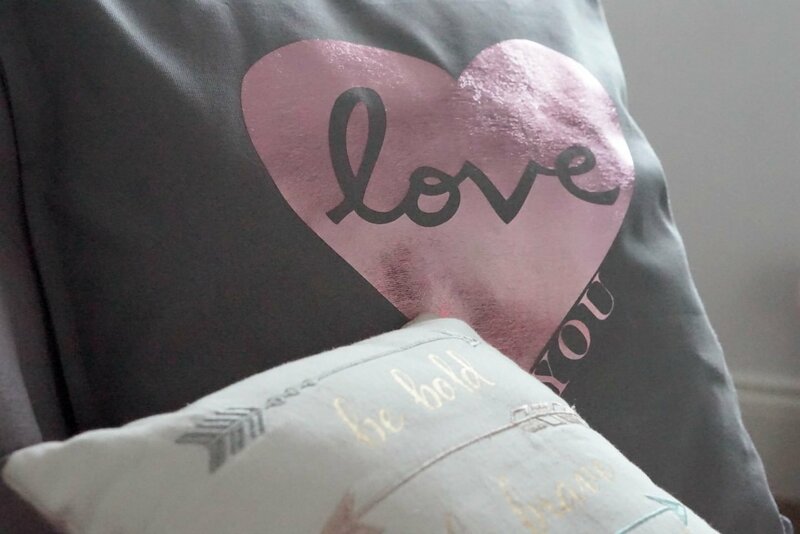 My first cushion was this ever so gorgeous iron on heart cushion, and with only a tweak of two of a pre designed image on the design space to add a word and fatten the heart up a little, took less than 15 minutes to make from beginning to end. Its such a simple process as long as you follow the Cricut Iron-On Vinyl Instructions. Last week I hosted 5 teens for dinner. In my wisdom I decided they could design and make their own t-shirts. Now it was a giddy crowd, and they were quiet for 3 hours as they all designed cut and with my help ironed on! I kid you not. 5 teens quiet for 3 hours, so yes that was a bit of a win and yet another reason to love my Cricut, it has made me cool with teens. When loading your matt ensure you load you product shiny side down, in my case the pink side. If you more of a visual person check out my little vlog below. And click here for the project link.